Check how much you could borrow using our car finance calculator. Why is our Car Finance Calculator the most accurate? We are really proud of our car finance calculator! When using other car finance calculators, you usually have to assess your own credit report, this isn’t practically helpful because you’re unlikely to know where you really fall. After all what one company see’s as ‘poor’ another may see as ‘fair’. With UK Car Finance, we don’t play the guessing game! Instead you can use our car finance checker and we will tell you exactly where you place. The credit check doesn’t harm your file at all, so really you have nothing to lose! Once you have checked your credit and found out where it really falls on the scale, you can use our car loan calculator to find out how much you can borrow and therefore which cars are in your budget. We also tell you, based on your credit file, the likelihood of you getting approved for car finance. It’s really a win-win all round. We believe you should be able to check before you apply! Use our car finance calculator below to work out what car loan you can afford. Not sure how to rate your own credit? Use our free car finance checker to find out! How does our Car Finance Calculator work? You just need to set your monthly budget and duration of the loan using the sliders on the car finance calculator. Then you set your credit choosing between bad, poor, fair, good or excellent – once you’ve asked for an accurate credit score you will know for sure. Using data we have collected from real applications, we are able to work out how much you will likely be able to borrow using an representative APR. You can then browse the cars available within your budget to give you an idea of which cars you can easily afford. Our car loan calculator gives you a really good idea of the car finance deal you will receive, so when it comes to receiving the real offers from our lenders, you will already know what to expect. No nasty surprises! The calculator is given you an estimate of your affordability, as there are more variables to getting car finance than just your credit score. However, once you’ve sent us your car finance application form your personal car finance expert will be in touch and will then work with our lenders to get you a great deal! What is the criteria for being approved for car finance? All good? Brilliant, why not let us get you a fantastic car finance deal? To help further, once you have applied we can calculate the repayment amount on a specific car with your finance deal! When we receive an offer from a car finance lender, they will provide the interest rate that you will actually be required to pay if you accept their deal. Our maths wizards here at UK Car Finance have then worked out what that means for the repayment value of every car on our website! Your personal car finance expert will provide you with a little code so you can see your personalised car page with the monthly repayments on each car! Just apply now to get started! The car finance calculator says I have a great chance of being approved, is there anything else to keep in mind? Our car finance calculator is a brilliant guide as it uses your own personal credit report to determine your chances of being approved for car finance. When a car finance lender is making a decision to offer you car finance or not, your credit report is a very important factor. However, the decision isn’t made on your report alone and there are other factors taken into consideration, hence why the calculator is just a guide. For lenders, your ability to prove your affordability is a huge factor. If you get paid cash in hand and have never banked this money then the lender isn’t able to see proof that you do have this income. You should bank this money for three months prior to applying. You can literally bank it and take it right back out if you want to, it’s just so the lenders can see proof that you did have that level of income for three consistent months. 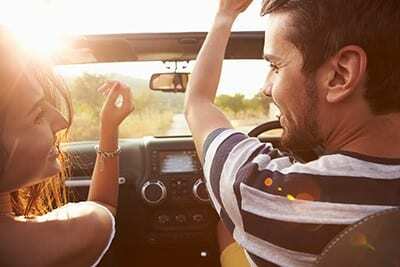 All car finance lenders have their own criteria aside from your credit report and as a result you may find that rate may vary slightly when you actually apply than our car loan calculator predicted. That said, we constantly adjust the calculator with the latest data to ensure it is statistically as accurate as possible.